Amnesty International has taken aim at online booking companies for “fuelling human rights violations against Palestinians” by listing hundreds of accommodation options, attractions and tours in Israeli settlements in Occupied Palestinian Territories. Released this week, the Destination: Occupation report calls on Airbnb, TripAdvisor, Expedia and Booking.com to stop doing business in the Israeli settlements, which it stresses are deemed illegal under international humanitarian law. Amnesty outlines that these digital companies are actually misleading their customers by failing to consistently indicate when accommodation is situated within the settlements, which is leading to a situation where tourists have no idea they’re holidaying on stolen land. Israel’s strategic affairs and public security minister Gilad Erdan tweeted that in its report Amnesty is attempting to “distort facts, deny Jewish heritage and delegitimise Israel”. The minister also accused the human rights group as being a front for the Boycott, Divestment and Sanction (BDS) movement. Established in 2005, the BDS movement is a global campaign promoting the boycotting of Israel in various ways in order to bring a halt to the human rights violations Palestinian people in the region are subjected to. Meanwhile, in the Gaza Strip today, two million Palestinians are living in what amounts to a giant open prison. 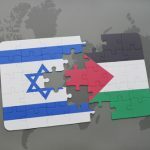 After the withdrawal of its military presence in 2005, Israel instigated a number of sanctions two years later that have amounted to an ongoing blockade by land, air and sea. In 2017, the United Nations reported that those living in Gaza are down to two hours electricity a day, youth unemployment was up around 60 percent, and the region’s only water source will be “irreversibly depleted” by next year. At the same time that the US controversially opened its embassy in Jerusalem on 14 May last year, Israeli forces just 70 kilometres away at the Gaza border killed 58 unarmed Palestinian demonstrators, who were demanding the right to return to their homelands and an easing of the blockade. BDS Australia is a coalition of Palestinian associations from around the country. Along with the movement’s other branches across the globe, it’s “challenging international support for Israeli apartheid and settler-colonialism”. The Israeli parliament effectively enshrined Israel’s decades-old system of apartheid in the nation’s Basic Laws – its de facto constitution – when it passed the Nation-State Law on 19 July last year. The legislation states that only Jewish people have the right to self-determination in Israel. BDS is inspired by the South African anti-apartheid movement. Its local chapter is currently calling on SBS Australia to stop its broadcast of the Eurovision Song Contest this year as it’s set to be held in Tel Aviv. Sydney Criminal Lawyers spoke to BDS Australia convener Hilmi Dabbagh about the plight of the Palestinian people, the impact that the movement has had in its time, as well as the opposition it faces in this country. Firstly, Boycott, Divestment and Sanction Australia has recently been campaigning so that SBS refrains from broadcasting the 2019 Eurovision Song Contest as Israel is set to host it. And you’ve also been asking Australian contestants to stop taking part. Hilmi, can you outline how this campaign is going? And how is BDS trying to achieve its aims? 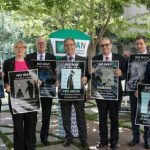 For the Eurovision campaign, BDS Australia is part of a global campaign. The campaign was launched by the BDS National Committee in Palestine. We work in coordination with BDS teams in other countries. Unfortunately, SBS insists that it will broadcast Eurovision, which is going to be held in Tel Aviv in May. We think this is a very unfortunate decision. We keep asking SBS to live up to its charter and reflect the ethical values of the Australian people. We will also continue to ask all people to support international law and human rights to premise these values. Similarly, we are asking supporters to contact the contestants, and the winner, when Australia decides who has won, and tell them not to participate. We are employing a range of strategies and actions to educate the Australian public about this campaign and why SBS should not take part in it. We are also planning a counter concert on the same evening as the May Eurovision final concert broadcast. We coordinate all our actions with international teams around the world. So, sometimes something will come up from other countries which we will implement. In July last year, the Israeli government passed the Nation-State Law, which, as BDS Australia has pointed out, effectively enshrined the apartheid system in Israeli law. How would you describe the plight of Palestinian people living in Israel? And further, the situation of those Palestinians living in the Occupied Palestinian Territories? In Israel itself, even before this Nation-State Law – which is literally an apartheid law, because it gives self-determination only to Jewish citizens – there were some 65 laws that discriminate against Palestinians. These laws are in relation to land ownership, residency and many other aspects. The situation of Palestinian-Israeli citizens is evident to any visitor. If you visit Israel, you go through Israeli towns and villages, which are modern with western style facilities. But, if you pass by villages that are predominantly populated by Palestinians, you easily notice the difference in the infrastructure and housing, as well as the disgraceful lack of services. Half of the Palestinian population in general – which is estimated at about 14 million – live in diaspora and half of them live in Palestine. There are 2 million Palestinians in Israel and 3 million in the West Bank, with roughly 2 million in Gaza. It’s important to know about the Palestinians in the occupied territories. If we talk about the West Bank, there’s the confiscation of Palestinian prime agricultural land to massive settlements and also, hundreds of checkpoints and roadblocks, which impact very aggressively on any freedom of movement. Palestinians have to use an inferior road system, while there are modern freeways that link the illegal settlements to Israel. Palestinians are not allowed to use these freeways. This is a clear example of the apartheid system that operates throughout the area. The illegal settlements use up to 20 times more water resources than the local Palestinian villages, some of which have to actually buy water, because their wells have been declared off limits and destroyed as they are located on the land that has been taken for settlement. There are the arrests of Palestinians, including children, at night time. There are the assassinations and summary executions of Palestinians, who Israel believe have no right to resist the occupation. These are very commonplace practices. Peaceful demonstrations aren’t tolerated. And protesters, including children, are regularly teargassed and shot with rubber bullets. There are currently more than 6,000 Palestinian security prisoners and detainees in Israel, including more than 200 children. Individuals are often detained in prison for an indefinite time, with no charge or trial, as Israel uses mandatory detention as a tool of oppression and as a way of silencing Palestinian leaders and politicians. 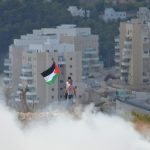 Palestinians in the West Bank and East Jerusalem are subject to military law and a military court system, while all settlers are subject to civilian law, even when they attack or kill Palestinians. The unemployment rate is 30 percent. It’s a terrible situation. I can’t talk about the plight of Palestinian people without talking about people in Gaza. It is enough to say it has been under almost full blockade for some 12 years, since 2007. In addition, attacks against Gaza have caused thousands of deaths and tens of thousands of injuries, with massive destruction to housing and infrastructure. And limited construction material is allowed in to rebuild. There is a United Nations Relief and Works Agency 2012 report titled Gaza in 2020 and it advises that Gaza will not be fit for habitation by next year. But, are the international community responding positively? They are not even condemning it, let alone, taking any action to alleviate the situation. And I can’t really talk about the plight of Palestinians without talking about the diaspora. Those who live in countries around Palestine are in camps that are not fit for humans. And people who managed to get another citizenship – such as myself living a decent life in this lovely country – we suffer enormous emotional damage from being away from our homeland, family and friends. How is it fair for anyone with Jewish European heritage – who has no links to the Middle East whatsoever – to have automatic rights to Israeli citizenship now, while I have all my ancestors on record as residents of Jaffa and I can’t return to my parents’ home. 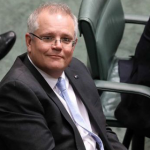 Back in October last year, prime minister Scott Morrison flagged a proposal for Australia to move its embassy in Israel to Jerusalem, following the United States having done the same in May. Then Morrison announced in mid-December that Australia was recognising West Jerusalem as the capital of Israel, however the embassy wouldn’t be moving straightaway. What did you think about these developments? It’s a move that was advised by former Australian ambassador to Israel Dave Sharma, who was also the Liberal candidate in the Wentworth byelection. Fortunately, they lost the byelection. And it is good that the Labor Party said they don’t support this. It was an election move, which was very shocking for people who even support the Liberal Party, because it’s against the ethos on their website. It has nothing to do with genuine politics, it had to do with the matter of the election. On 16th of this month, BDS Australia sent a letter to the Sydney Opera House chairperson in relation to the Israeli dance company L-E-V performing at the venue over a four night period ending this Sunday. Your organisation has asked the Opera House not to host events featuring performers representing Israel in the future. 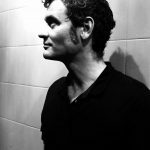 Why is it important to stop a dance company like L-E-V playing in Australia? Because we are trying to counter effect the Israeli government’s conscious program to use artists and cultural events to promote Brand Israel. They have this strategy to brand the country as a democratic progressive society. L-E-V has received Israeli government funding in the past. In general, with this Brand Israel, the Israeli government seeks to normalise Israel. And show that it is a country that has values similar to the west, when in fact, all that they’re trying to do is justify the discrimination, occupation, land theft and army violence against Palestinians, as a legitimate action to maintain Israeli security. And besides what we’ve already covered, what other campaigns and boycotts are BDS Australia running at present? Currently, we are partnering with the global campaign against Hewlett Packard, HP: the company that produces computers and IT equipment. Why? Because HP technology and support are essential for the occupation: the checkpoints, the ID cards, and the Israeli Navy’s illegal siege of Gaza. It all relies on HP technology. Later this year, we will launch our campaign for a ban on weapons and military equipment trade between Israel and Australia. The UK Labour Party has agreed it will implement a ban if it wins the next election. And we know Australians would support the Labor Party here doing the same. We will also press for superannuation funds to divest from companies that support the occupation and the ongoing oppression of Palestinians. BDS is a global movement launched by 170 Palestinian organisations in 2005. What would you say the campaign’s impact has been? BDS has massively raised awareness. And, like in South Africa, Israel must cease its illegal and immoral actions and negotiate for peace or face the consequences by becoming ever more recognised as a pariah state. Every week, somewhere in the world another council or church or sporting team says no to Israel. In comparison, in South Africa, the boycott phenomenon started around 1949. They got their freedom and apartheid finished in 1994 – 45 years later. There are commentators who think what the BDS movement has achieved against Israel has been much faster. It can be understood because of the social media and the modern communications we have at this time. We are hoping we will get our freedom, similar to South Africa. Pro-Israel lobby groups are said to hold a lot of sway in Australia. What sort of opposition does your campaign face here? First and foremost, they have a standard line, which is that it is anti-Semitic. It is an intentionally conflated concept that Israelis and Jewish people are one. In my own view, this is anti-Semitic by itself. There are so many Jewish people around the world – including those who participate in BDS – that don’t see Israel as their state. The Israeli lobby has been operating effectively throughout Australia for many decades since the creation of Israel in 1948. Politicians, journalists and union leaders have been effectively managed by key organisations that have maintained a fierce attack on anyone or any political party that criticises Israel. 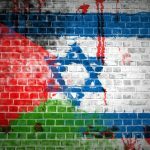 The Australian media mostly ignores the plight of Palestinians, but social media is an effective means to counter this long-term bias and expose the everyday experience of Palestinians. There’s a recent example of this in a New York Times article by journalist Michelle Alexander. She says many public figures and cultural leaders still worry about clearly supporting Palestinian human rights, as they feel this may damage their careers. We ask these politicians, celebrities and everyone who has a conscience to see life through Palestinian eyes and to stand on the right side of history, as with what occurred in South Africa. And lastly, Hilmi, you’ve just mentioned that awareness of the Palestinian people’s plight is growing globally, however developments like the US embassy move have occurred and the illegal expansion of Israeli settlements in the West Bank continue. What do you foresee happening in the near future in regard to the Israel-Palestine conflict? All I know is that Palestinians everywhere will continue to resist, organise and we will keep finding allies as the BDS movement grows. It is happening in the USA: in universities, churches and some Congress members are putting BDS on the agenda for the first time ever. A similar thing is happening in Europe. And we hope we will grow in Australia. If you look at the news and what’s happening, it’s not promising. But, we can see a real change at the grassroots level. Polls in Australia say that there has been a significant increase in the support of the Palestinian cause. Justice and equal rights are the expectation of most people regarding this issue. And I know our movement will continue to grow, putting pressure on the Israeli state until it stops being a rogue country above international law.